Manchester United manager, Jose Mourinho has identified Arsenal midfielder, Mesut Ozil as the player he wants to elevate his current options in the middle of the park. The Portuguese tactician has seen his players rise to the occasion of winning the league this season and wants the player, who was under him at Real Madrid to swap The Emirates for the twinkling nights of Old Trafford. Ozil, 28, has been in a standoff with Arsenal over a new contract, and with negotiations proving to be difficult, Mourinho wants to pounce and sign him on a free transfer once his current Arsenal contract expires next June. 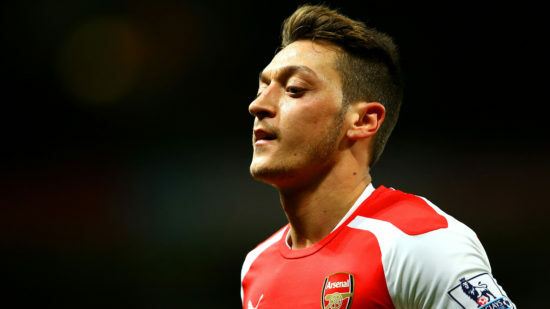 The Independent reports that Ozil is being persuaded by Mourinho to come join him at United at the end of the season. It also reports that the former Chelsea manager is confident a deal will be struck soon. Arsene Wenger and Arsenal have resigned to losing the player on a free next summer but don’t prefer him going to United, their long term bitter rivals. Relations between the clubs have soured since the transfer of Robin Van Persie to United back in 2012, and Wenger knows the danger of strengthening a direct rival. The Gunners have failed to reach an agreement with the player’s representatives about a new deal, and there are reports that Ozil was courted by Turkish giants, Fenerbache and Besiktas in the close season, as well as Inter Milan, but a deal couldn’t materialise as Wenger refused to sanction any deal. Ozil will jump at the chance of signing for United as he is a very ambitious player who knows that United are a different proposition with Mourinho in charge and he will lift more trophies with the manager. Both men have an excellent relationship built from their Real Madrid days, with the classy German playing perhaps his best football at the Spanish club.